What does successful ageing mean to older Australian war veterans? Health, resilience, and vitality are most often associated with young people, but recent research demonstrates that older adults can experience all of these things too. Such research has been instrumental in supporting a shift away from the perception of older age at a time of decline and withdrawal, and toward a positive and optimistic view of ageing. This is called successful ageing, otherwise known as healthy ageing or ageing well. Academics, clinicians, and policy-makers recognise that successful ageing is important, but to date we have no clear definition of what may constitute successful ageing. While researcher-defined successful ageing models are helpful, they suffer from a major limitation – a lack of accounting for lay perspectives of successful ageing. We need to understand successful ageing through the eyes of older people in order to help them optimise their health trajectories into older age. Recent inroads have been made into developing this understanding, with qualitative research beginning to uncover older peoples’ views on ageing well. It is also apparent that these views tend to vary based on factors such as culture and life course events. Within Australia’s ageing population an important group is war veterans. 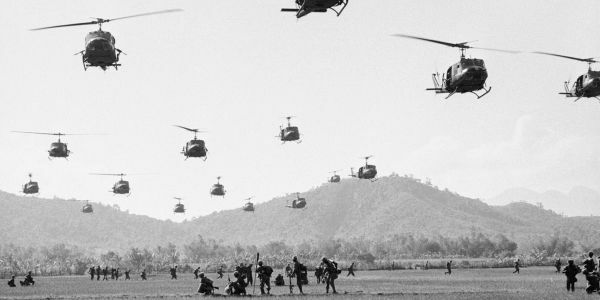 Men and women who were involved in the Vietnam War and other pre-1972 conflicts currently make up 2-3% of Australians aged over 60 years. Along with the usual challenges of ageing, veterans are approaching older age with additional physical, mental, and social health conditions associated with their military experience. Therefore, it is essential that we understand their views on ageing well. In a study that is currently underway, veterans were invited to share their views on ageing well. A picture is emerging of what successful ageing looks like to older Australian veterans, and while there is a degree of overlap with civilian views, the veteran perspective embodies a number of unique contributors to ageing well. Veterans speak of the importance of mateship and comradeship, of giving due regard to their physical health as they were trained to do in the military, of taking responsibility for their own health, of working hard and earning their way in life, of helping the community including fellow veterans, younger veterans, and civilians, and of reaching out for help with mental health issues when necessary. To help veterans optimise their health trajectories into older age, we first need to ask them what is important as they move into older age? The current study addresses this gap in our knowledge.